Fulbright & Jaworski Law Firm Logo. Image available on the Internet and included in accordance with Title 17 U.S.C. Section 107. Rufus C. Fulbright. Image available on the Internet and included in accordance with Title 17 U.S.C. Section 107. Leon Jaworski. Image available on the Internet and included in accordance with Title 17 U.S.C. Section 107. FULBRIGHT AND JAWORSKI. The Fulbright and Jaworski law firm began in 1919 when the partners in Anderson, Clayton and Company, the world's largest cotton trader, recognized in Rufus C. Fulbright a talent in which they had a special interest. An expert in railway regulation, Fulbright was employed by a Houston law firm representing the mammoth Missouri Pacific Railroad. Monroe D. Anderson, a partner in the cotton concern, convinced Fulbright to resign from that firm and to begin practicing independently as a representative of shippers with Anderson Clayton Company as his sole client. Fulbright quickly looked for a way to expand his promising but specialized practice. To help realize his ambitions, he turned to a local litigator named John H. Crooker, a former Harris County district attorney, and in 1919 Fulbright and Crooker founded what is today one of the largest law firms in the country. In 1924 John H. Freeman, a corporate and banking attorney, was added to the firm. Freeman soon won the firm its first prestigious financial client, State National Bank, and steered the firm towards further development in the area of corporate and business law. 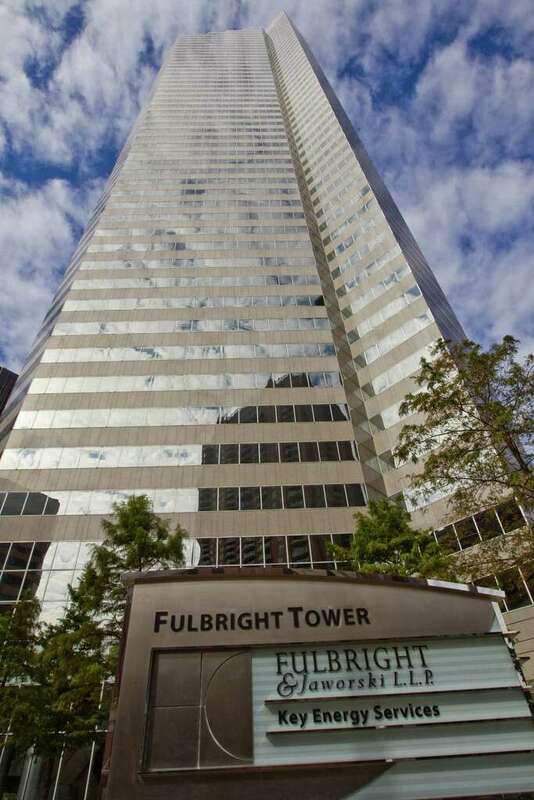 Fulbright engineered a new dimension in the growth of the firm. Already an acknowledged transportation industry expert, he spent much of his time in Washington, often in dealings before the Interstate Commerce Commission. In 1927 he opened a Washington office, making his firm the first in Houston to have a presence in the District. Good fortune led the firm to meet another lawyer destined for prominence in the nation's capital. That man was Leon Jaworski, whom they met face to face in an appellate argument in a Galveston courtroom. So impressive was this young attorney, who beat them, that they asked him to join their firm. Jaworski immediately began building a reputation as an outstanding attorney. Jaworski, together with William Bates, developed the firm's oil and gas expertise to a level that would eventually attract such clients as Exxon Company, U.S.A., Texaco, Incorporated, Shell, and Mobil. While on leave from the firm during World War II, Jaworski was appointed chief of the Trial Section of the War Crimes Branch of the Judge Advocate General's Department. He went on to investigate atrocities for the Nuremberg war crimes trials in Germany. Shortly after World War II was over, Jaworski returned to the practice of law in Houston, later to serve as president of the State Bar of Texas, American Bar Association, and American College of Trial Lawyers, as well as Watergate special prosecutor. Texas Medical Center. Courtesy of MD Anderson Cancer Center. Image available on the Internet and included in accordance with Title 17 U.S.C. Section 107. Fulbright Tower, Houston. Courtesy of the Houston Chronicle. Image available on the Internet and included in accordance with Title 17 U.S.C. Section 107. During the 1940s the firm expanded in size and solidified its reputation by helping to build Houston in myriad ways. In 1941, for example, attorneys Freeman and Bates, who with Horace Wilkins of State National Bank were trustees of the M. D. Anderson Foundation, voted to allocate a portion of the foundation's assets to build a medical center in the city. Learning of state appropriations of one-half million dollars earmarked for a cancer research center to be operated by the Austin-based University of Texas, the three trustees invited the school to locate its center in Houston. As enticements, they offered a site, as well as matching funds from the foundation. They thus helped to establish the renowned Texas Medical Center, the hub of Houston's modern health care system and the largest medical center in the world. The firm still serves as counsel to the M. D. Anderson Foundation and to many of the institutions located in the Texas Medical Center. 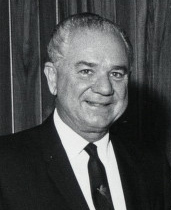 Through the 1950s Jaworski took on management duties within the firm, and in recognition of this and of his contribution to the firm, his name was added to its name. During the 1970s and early 1980s the firm expanded at an unprecedented pace, responding with characteristic vigor to the needs of Sunbelt companies whose business place was now the world. Offices were opened in London, in Austin, in San Antonio, and in the booming Dallas-Fort Worth metroplex. On January 1, 1989, the firm merged with Reavis and McGrath, a 110-lawyer full-service firm with offices in New York and Los Angeles. The combination of the two firms represented the largest United States law-firm merger, resulting in the seventh-largest law firm in the country. Reavis and McGrath had established a reputation throughout the country for its corporate, securities, venture capital, and high technology practices. In addition to providing full service offices in two of the nation's largest metropolitan areas, the merger had further broadened the firm's practice and enables all offices to better serve existing clients. By 1994, three-quarters of a century after its founding, Fulbright and Jaworski had 630 attorneys and was serving clients through nine offices in the United States and Europe. Houston Business Journal, November 12, 1990. New York Times, November 11, November 25, 1988. Gary Taylor, "Gayle Force: A Prominent Firm Leader Ends His Reign," National Law Journal 14 (January 13, 1992). Handbook of Texas Online, "FULBRIGHT AND JAWORSKI," accessed April 25, 2019, http://www.tshaonline.org/handbook/online/articles/jyf01. Uploaded on June 12, 2010. Modified on February 16, 2017. Published by the Texas State Historical Association.